Anyone who has ever tried to sell a house knows that it gets much easier in the springtime. Often, when people are relocating, they try to do it in the summer when it will minimize the disruption for school-age children. For that reason alone, spring sales for summer moves are very common. But it’s not just the practicality of relocating that makes spring a popular time to buy. A house shows better in spring. Flowers are in bloom, leaves are on the trees, and the grass is green. Therefore, it’s always wise to try to put your house on the market right at the beginning of spring. If spring weather can help your house show better on the outside, it’s up to you to be sure that the house shows well on the inside. Obviously, you keep your house clean and without clutter, but prospective buyers don’t care as much about your furniture. What they want to know is how do the floors look? Do the walls need to be painted? Are the bones of the house solid? Thinking like a prospective buyer, take a look at your carpets. Are they dingy after all the mud and rain from fall and winter have been tracked into the house? Are their stains from holiday parties? Do they look worn from all the guests you had over the holidays? 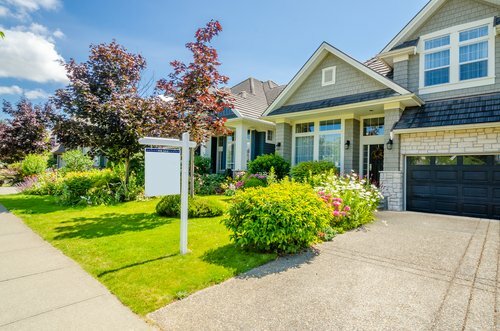 If you’re planning to put your home on the market in the spring, that’s a very wise decision, but you should be sure that the home is ready to show. Professional carpet cleaning can erase the evidence of a wet and muddy fall and winter, get rid of the traces of holiday parties and increased traffic on your carpets. Carpet cleaning is a smart choice for getting your carpets to show as well on the inside as the house shows on the outside. One of the greatest benefits of having your carpets professionally cleaned is that it’s much cheaper than installing all new carpets. The result you’ll receive will be brand new-looking carpet that feels and looks exactly like freshly installed carpet. The only difference is the few grand you will have saved by going with Magic Carpet. Not to mention, it will be disinfected, as well. Aside from the professional touch they’ll leave on your carpet, Magic Carpet allows you to see what your home could’ve looked like this entire time. Professional carpet cleaning is the clear choice. Contact Magic Carpet today for a quote!